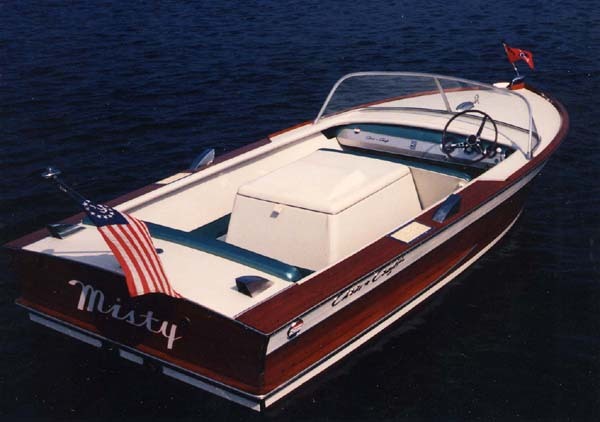 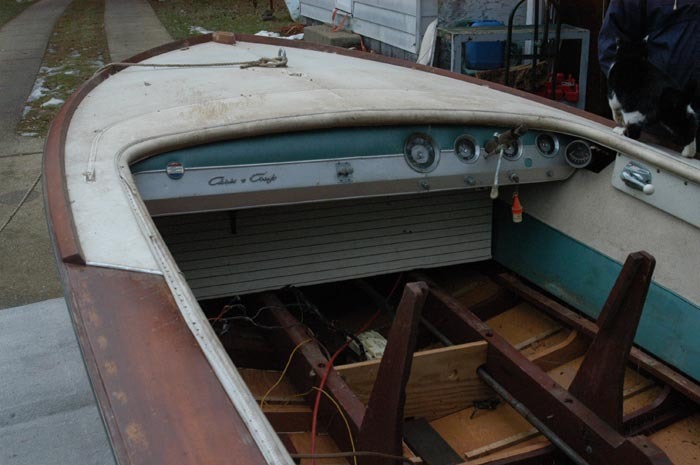 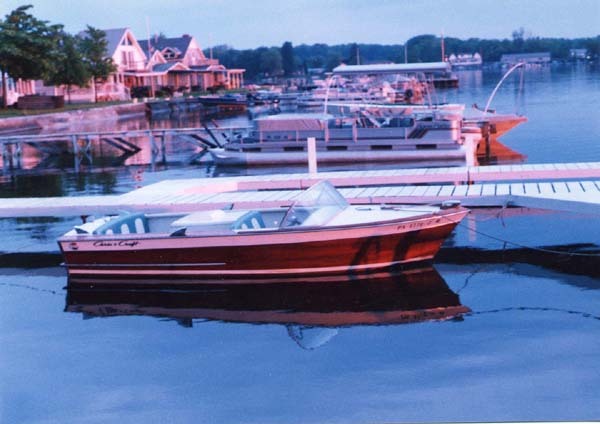 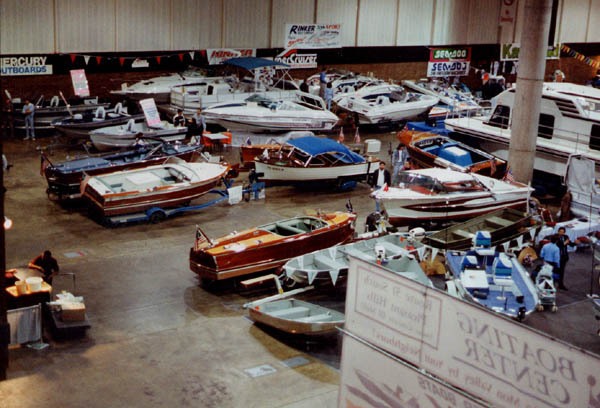 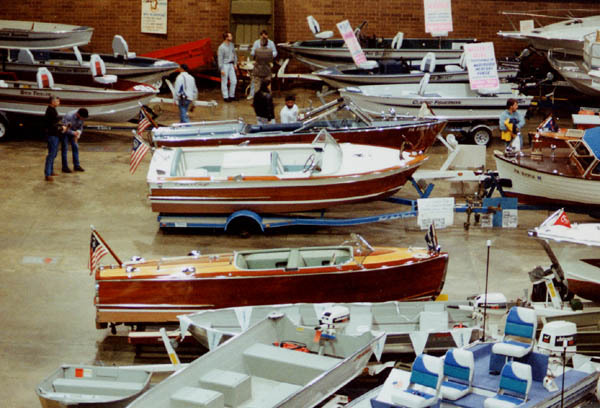 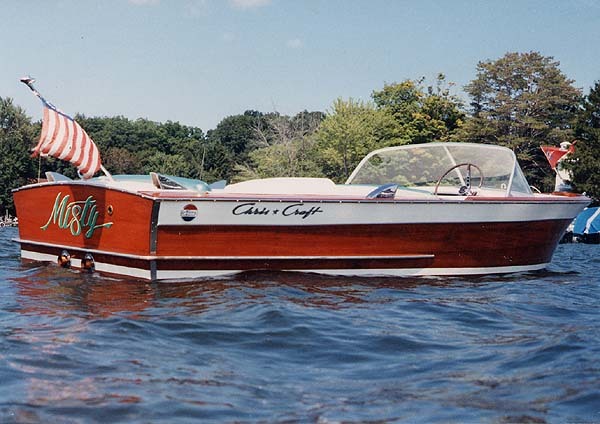 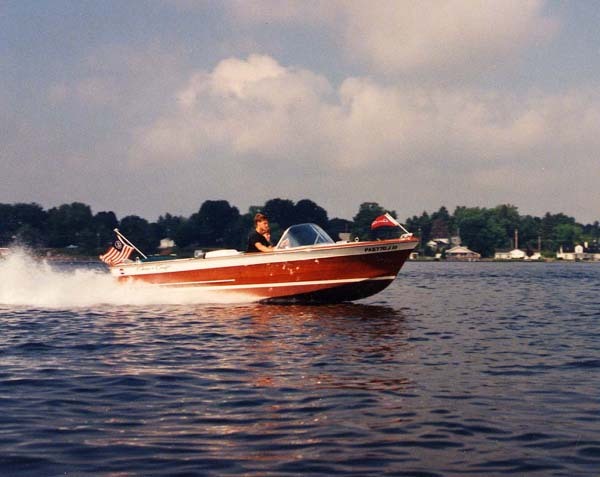 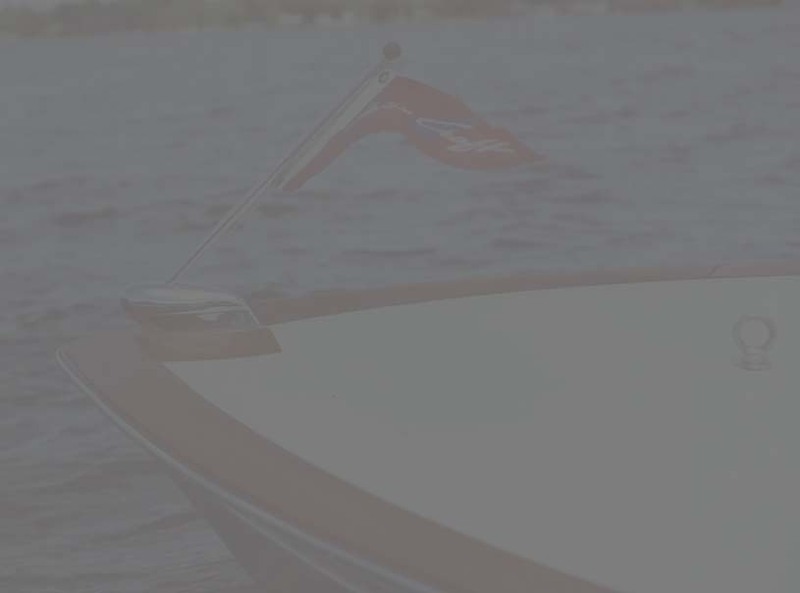 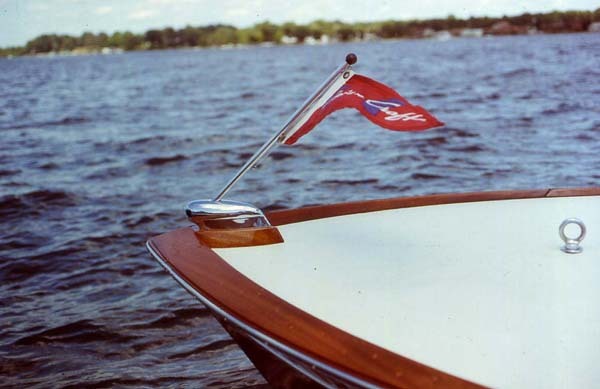 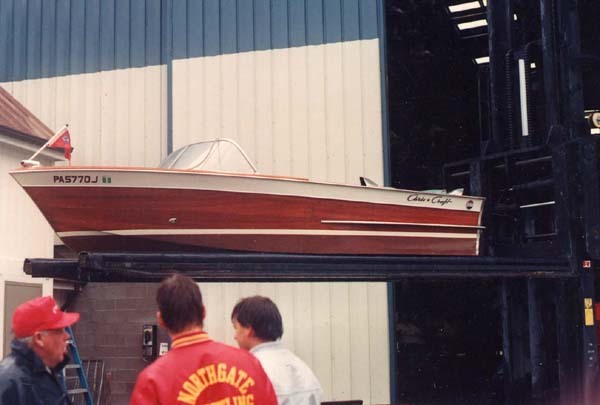 1964 Chris Craft Super Sport 17' "Misty"
On display at the 1993 Pittsburgh Boat Show. 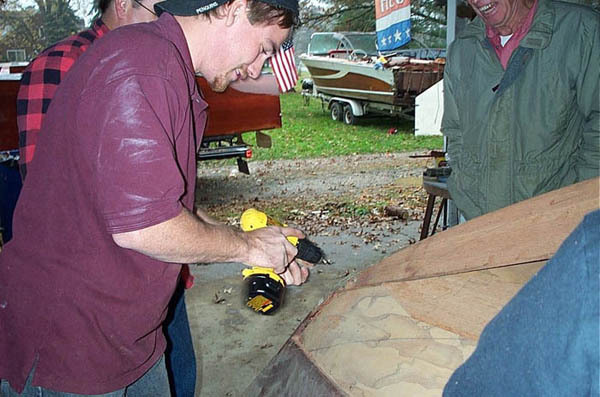 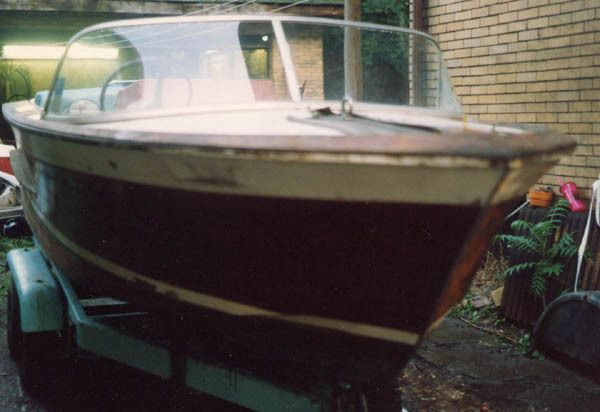 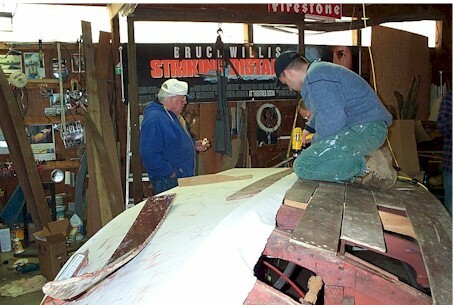 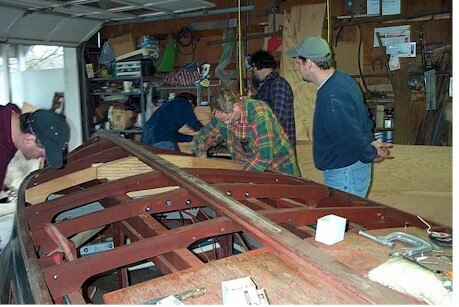 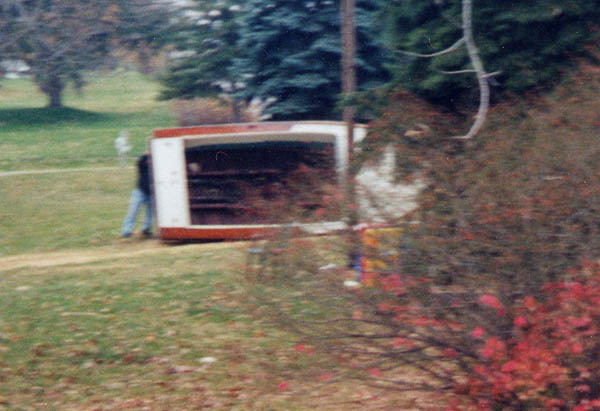 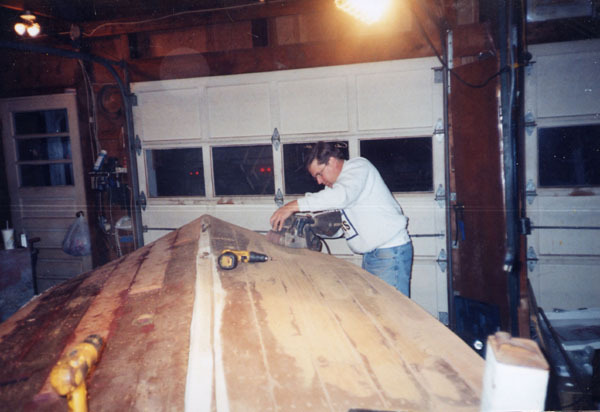 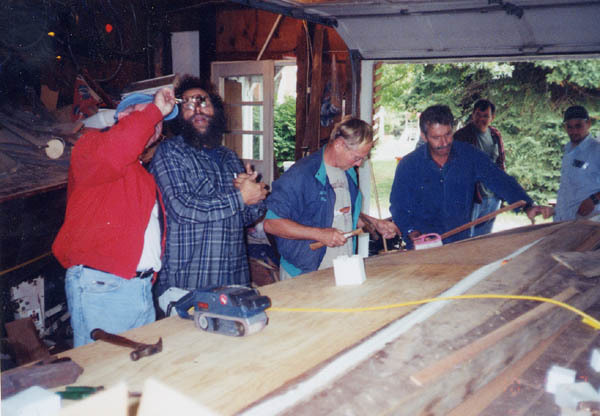 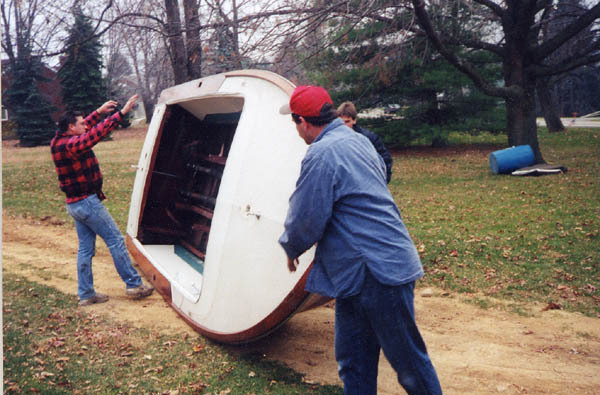 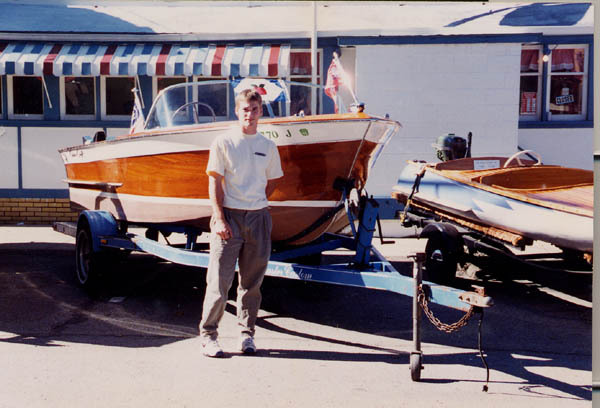 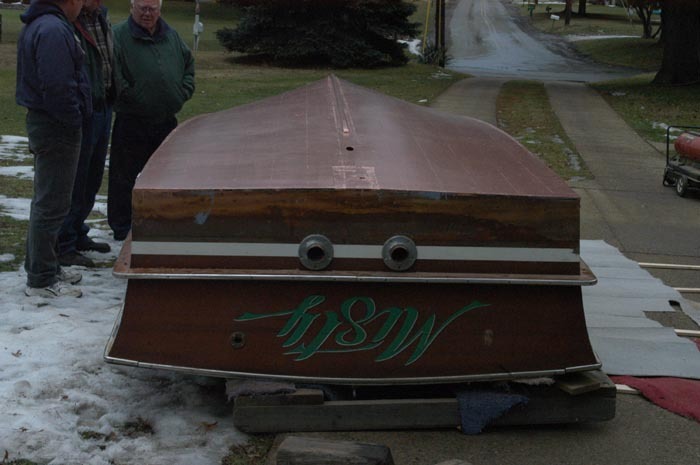 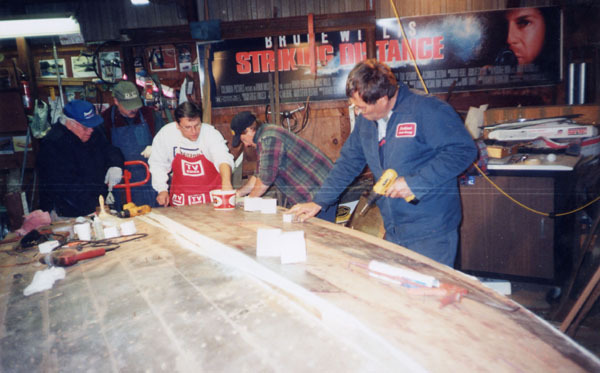 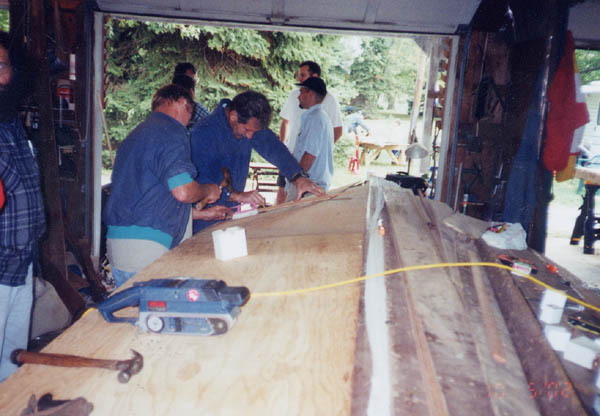 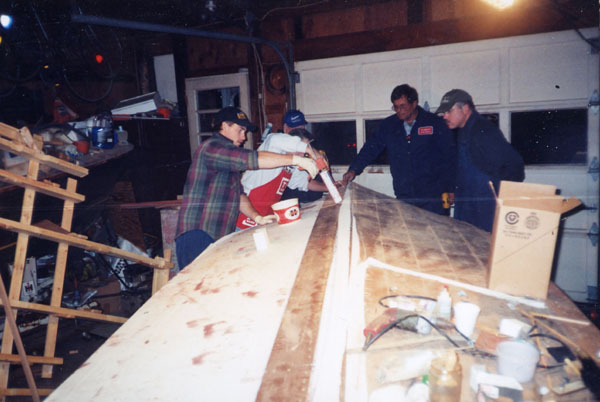 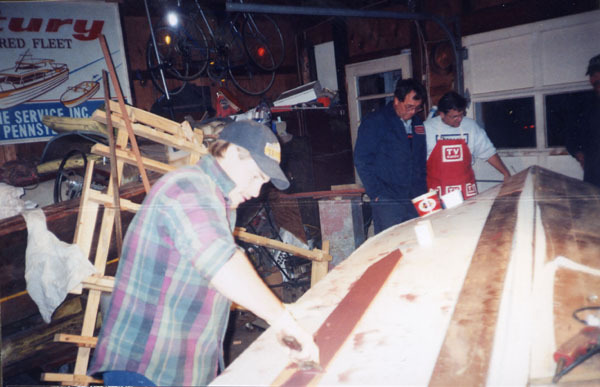 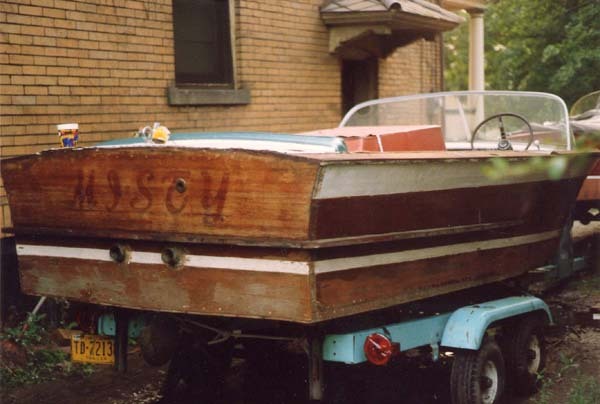 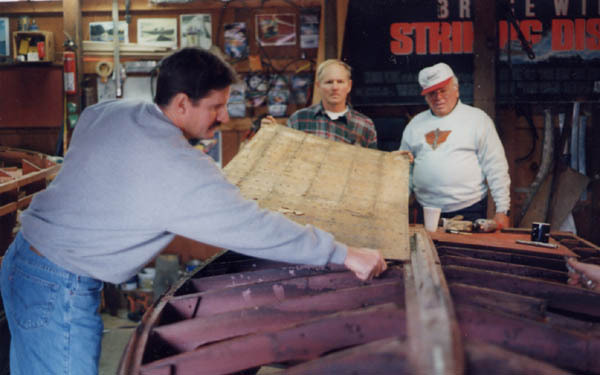 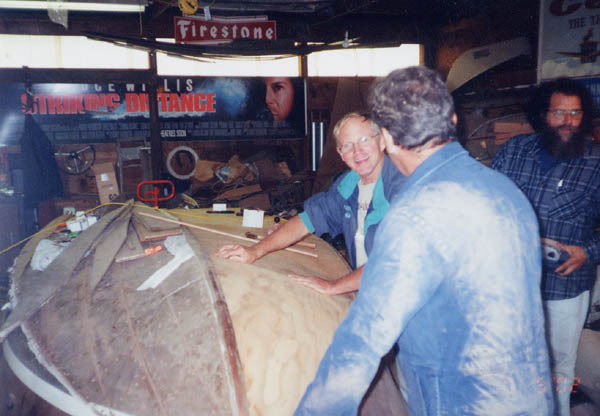 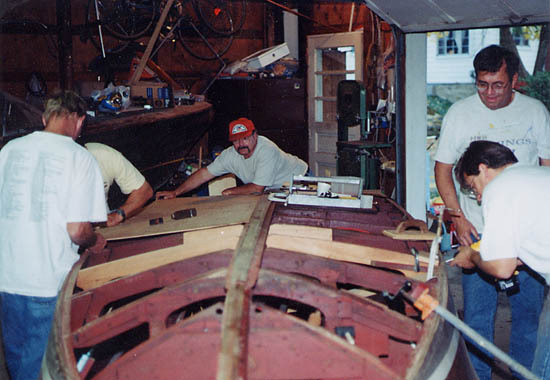 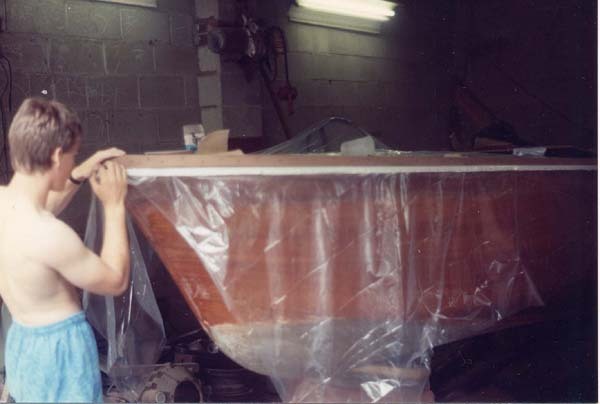 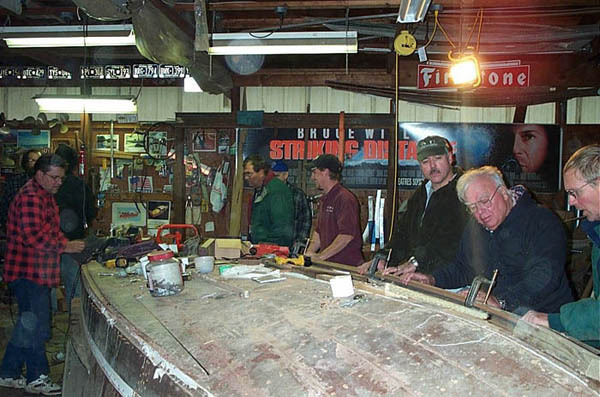 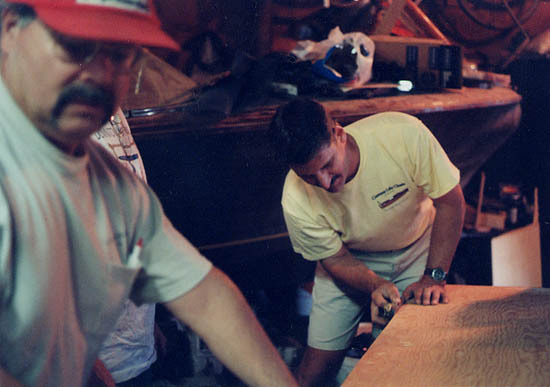 On display at the October, 1993 Apple fest in Franklin PA.
Rolling the boat over for bottom restoration. 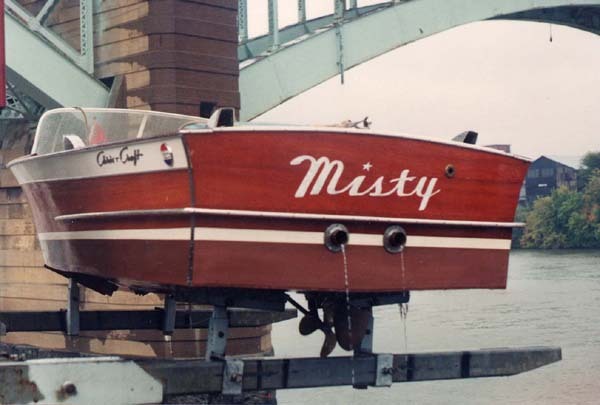 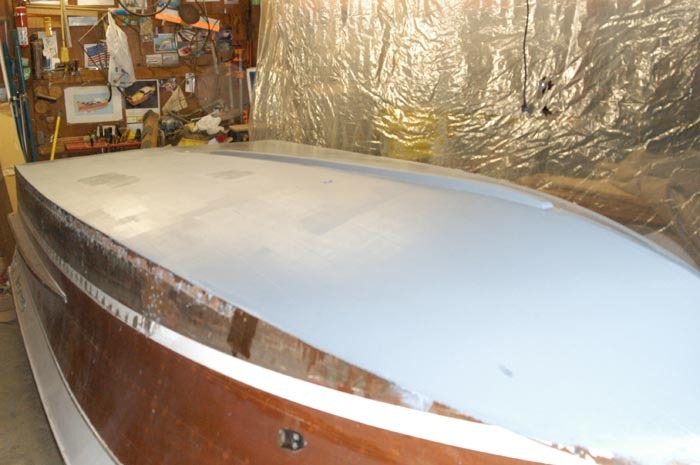 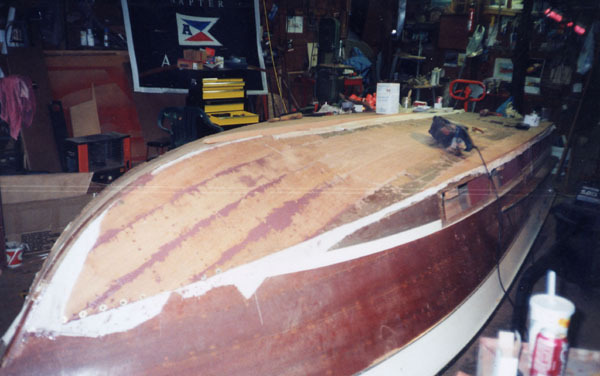 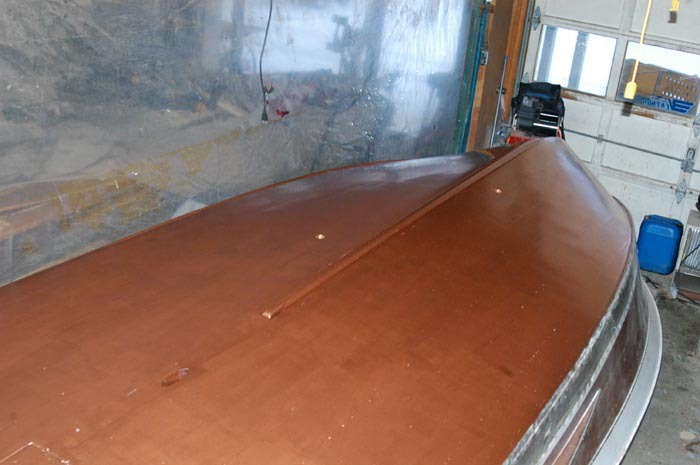 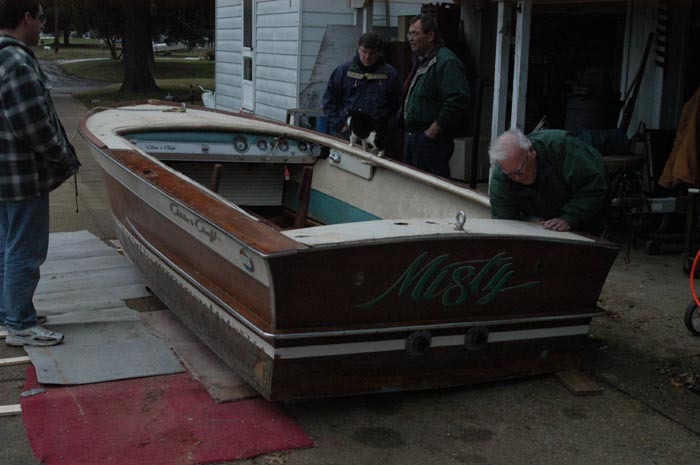 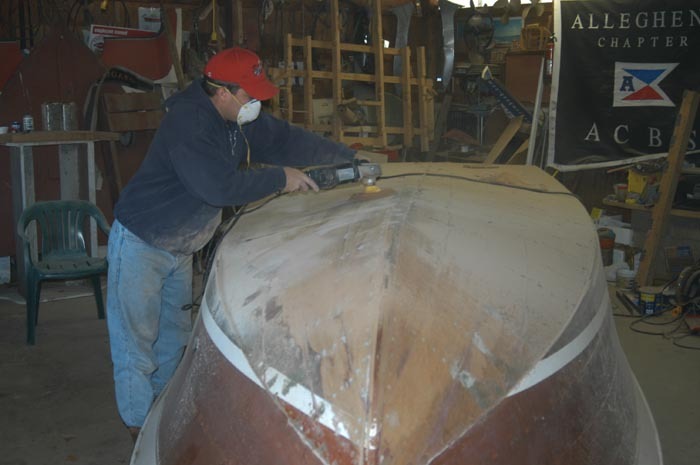 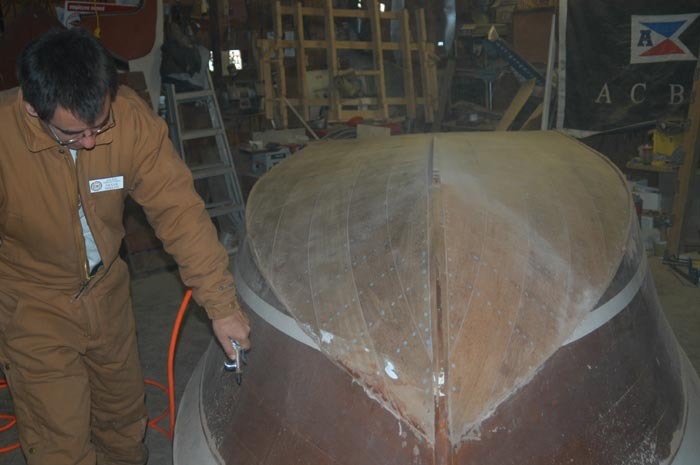 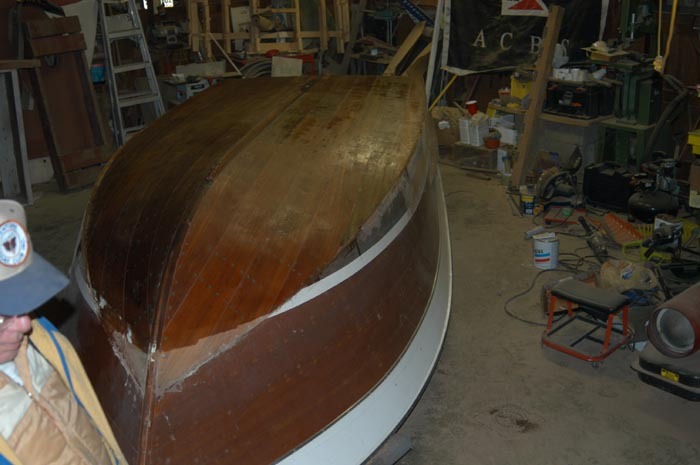 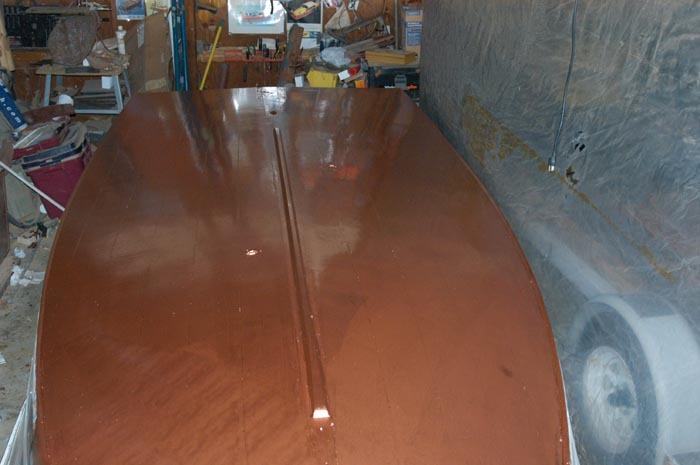 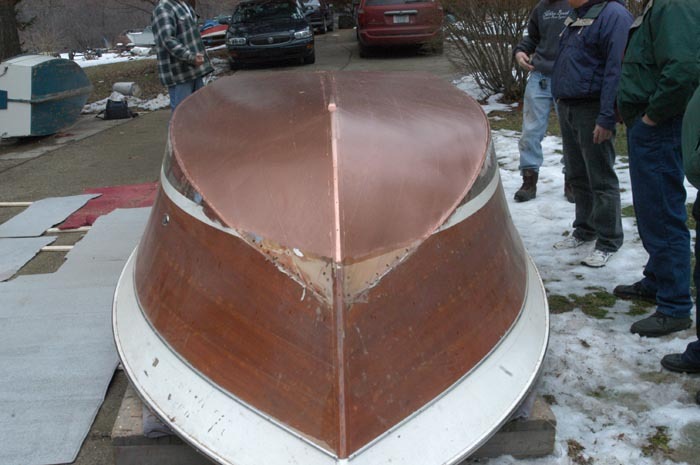 The next series of photographs are of "Misty" having the bottom redone. 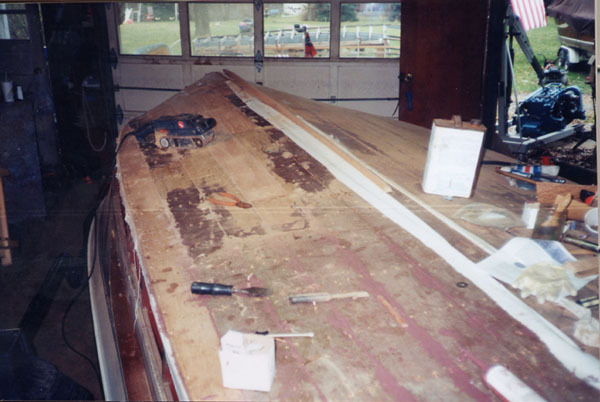 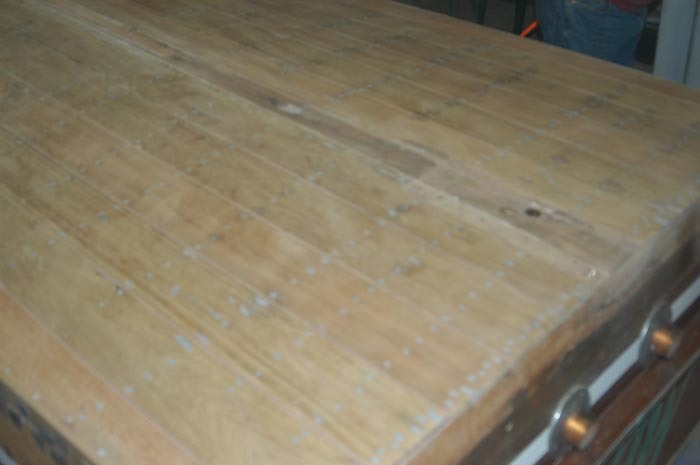 The restoration has been done over the last 5 years. 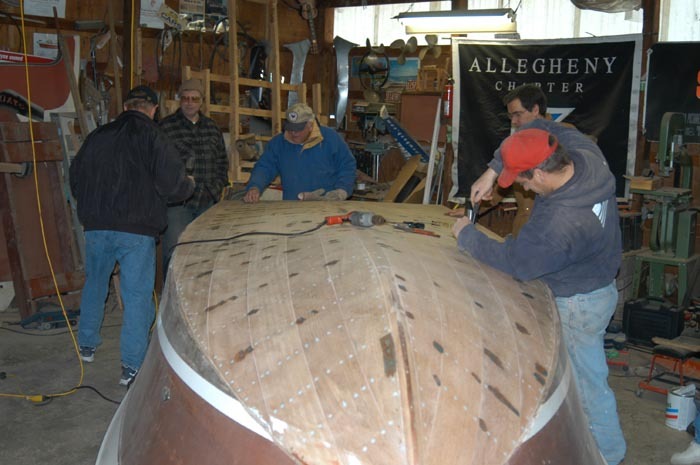 As a workshop project for Allegheny Chapter of the A.C.B.S. 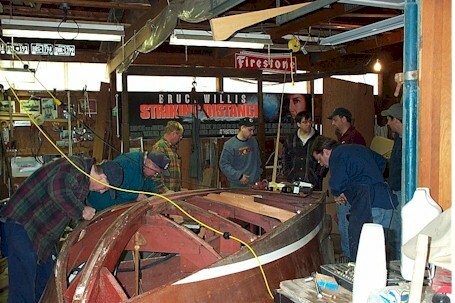 All of the work to date has been done at these workshops. 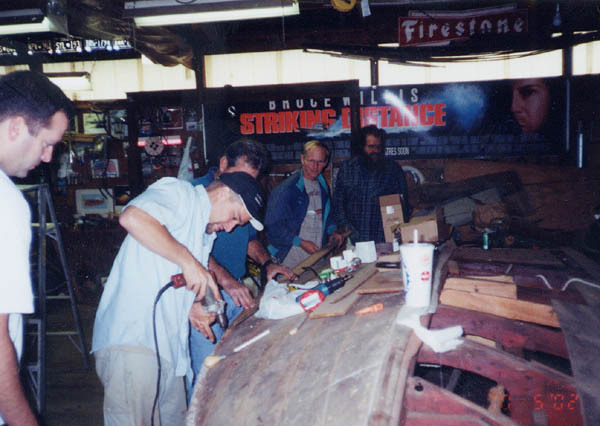 It has been at six workshops to date. 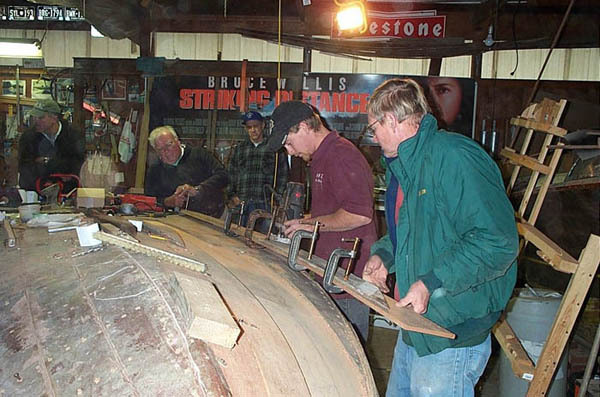 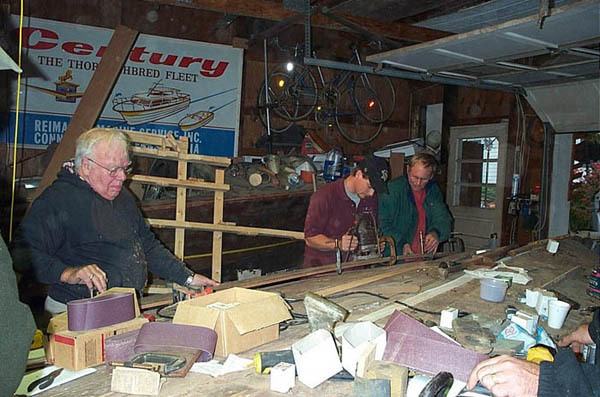 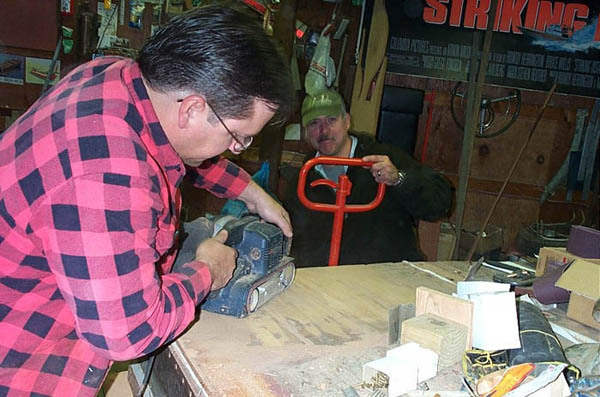 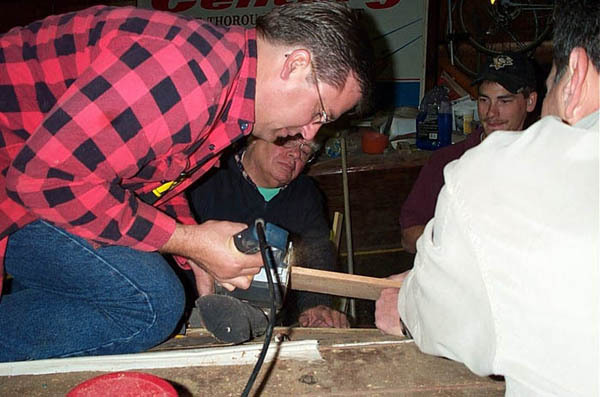 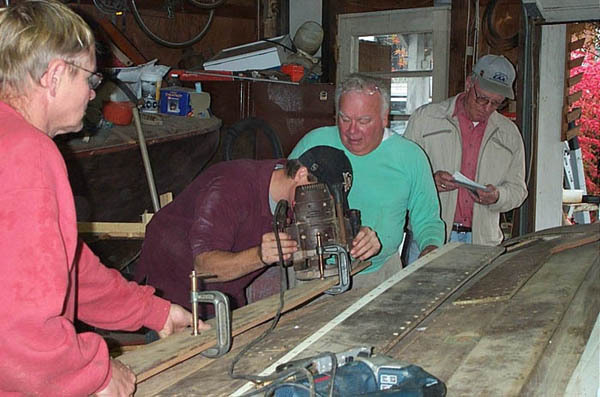 The last workshop was November 2005.